Yesterday I talked about konjac noodles and what a great substitute they make for all your noodle recipes. 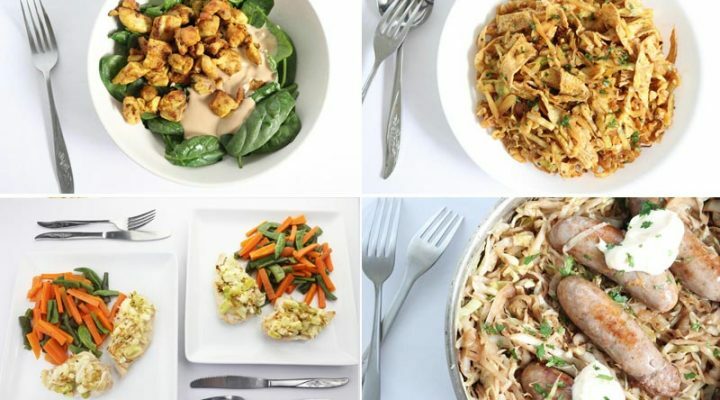 Wherever a dish calls for pasta or noodles and you need a low carb replacement, just use konjac noodles instead. So I thought I'd help inspire some konjac creations by sharing one of the favorite we've really been enjoying lately. I love this recipe because it's easy to make in just 15 minutes, has a creamy delicious flavor, and is very satisfying too. 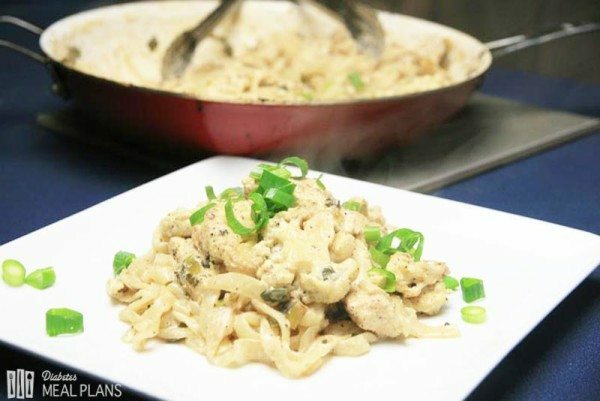 If you're ready to get started, go ahead and print out the recipe, in 15 minutes you'll have yourself a delicious meal! In a bowl season the coconut flour with salt and pepper, then add the chicken strips to the bowl. Using your hands, coat the chicken with the flour mix, then remove, shaking off excess flour and set aside in another bowl. Heat 2 tablespoons of oil in a pan, when hot ad chicken and fry off until brown and almost cooked, set aside on a plate. Add another tablespoon of olive oil to the pan, 1 teaspoon garlic oil, then add cauliflower and spring onions (scallions) and cook for 2-3 minutes, stirring occassionally. When the cauliflower is almost cooked, add the wine into the pan and cook for a further 2 minutes. 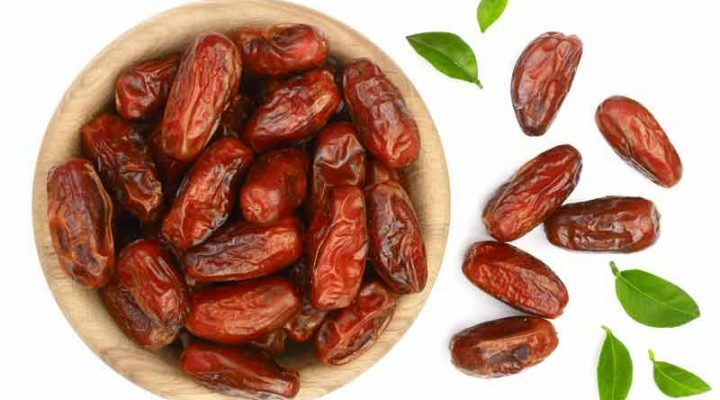 The wine should mostly evaporate but if it drys out too much while cooking, just add an extra couple of tablespoons of water to prevent burning. 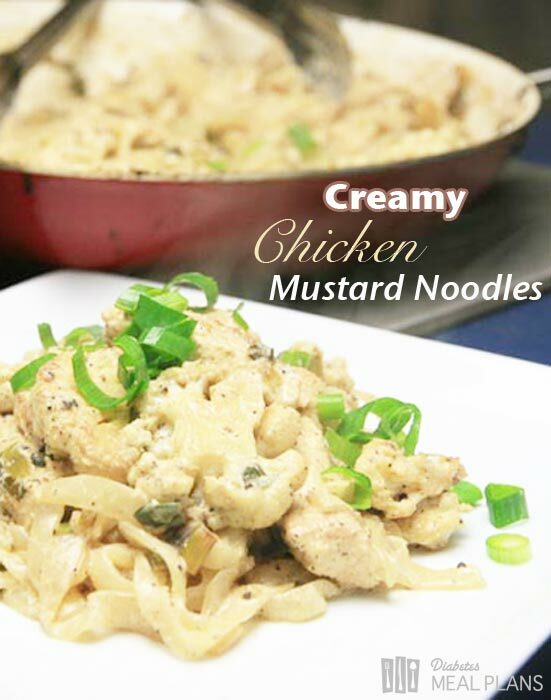 Turn down the heat to low, add the noodles and chicken back into the pan, along with the mustard and stir through. Add the sour cream and stir through, then serve. This serves 2 big serves so can potentially serve 3 people or you will have some leftover for a snack. That means the nutrition/ carb details are probably less than quoted on the nutrition label. 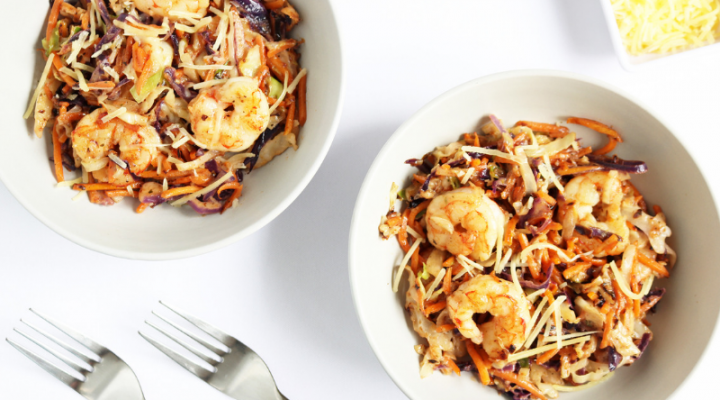 If you don't have konjac noodles, you could use shredded cabbage or some zucchini noodles. Share, tweet, or pin, this diabetic foodie dish. 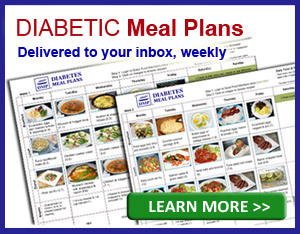 And be sure to Click Here to Subscribe to our weekly news and delicious diabetic recipes.